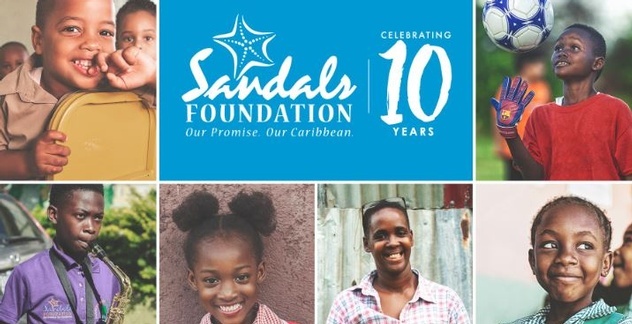 On March 18th, the Sandals Foundation celebrates 10 years of fulfilling its promise to the Caribbean community of investment in sustainable projects that improve schools and build capacity in the education system, restore and conserve marine wildlife and help marginalized people transform their lives through training and other community development programs. Over the next decade, the Foundation is planning to double down on protecting the Caribbean ecosystem and bringing its 14,000 employees and customers together to support over 120 projects and programs annually across Antigua, the Bahamas, Barbados, Grenada, Jamaica, St. Lucia and Turks & Caicos. Called #FaceTheCaribbean, guests across the company’s 19 Sandals and Beaches Resorts will have the opportunity to change the face of the Caribbean for generations to come – whether they choose to donate in support of a particular project, participate in the Pack for a Purpose® program and bring needed supplies to local schools, purchase merchandise and items from Caribbean Artisan Collections available in the Sandals and Beaches Resort Shops or get hands on through unique voluntourism excursions, such as the Reading Road Trip, that take them directly into local communities. Over the past decade, the Foundation has also extended support to neighboring islands on the ground in times of crisis, including natural disasters in Haiti, Dominica, Barbuda and some of the out islands of the Bahamas. While the Sandals Foundation will continue to support projects across each of its core pillars, the organization is placing a special emphasis on the environmental component today and in the years to come. 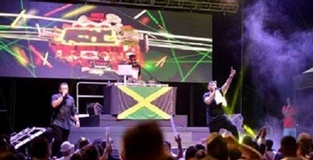 Last year, in partnership with Oceanic Global, a non-profit focused on providing solutions to issues impacting our oceans, all 19 Sandals Resorts and Beaches Resorts eliminated the 21,490,800 single-use plastic straws and stirrers used across the resorts each year, along with plastic laundry bags and plastic bags throughout gift shops. As of February 1, 2019, all resorts have eliminated Styrofoam. The company is currently exploring opportunities to eliminate other plastic across its resorts by September 2019. Environmental sustainability is critical to Sandals and Beaches Resorts’ core mission, and the company has earned its place as the only hotel chain in the world to have all of its resorts certified by the EarthCheck benchmarking and certification program, with nine resorts currently holding Master Certification. All resorts ensure environmental policies are put in place to reduce the company’s overall carbon footprint, as well. While the Sandals Foundation has made tremendous progress in the region, the work is far from over. The Foundation remains committed to investments that create a positive and sustainable impact on people’s lives and the environment. Over the next year, the non-profit will put a special emphasis on expanding awareness and funding to support the beautiful, yet vulnerable, Caribbean ecosystem. The Sandals Foundation has pledged to lead the charge in driving a sustainable future for the region and protecting its precious marine resources. With the help of partners, key stakeholders and volunteer team members, the Foundation is committed to engaging 100,000 people in environmental protection and conservation over the next 10 years. This commitment includes working with schools and educators to integrate marine education in their lesson plans, spearheading hands-on field trips to protected areas and engaging residents in coastal communities on proper solid waste management programmes. In line with its mission to reduce waste, the Foundation will also provide school children in the region with reusable lunch kits to reduce their dependence on Styrofoam. The Foundation pledges to strengthen the resilience of coral reefs in the region, with a commitment to plant 30,000 coral fragments onto reef systems over the next 10 years. As part of this, locals will receive training in coral restoration, and guests at Sandals and Beaches Resorts will be able to participate in coral planting dives. 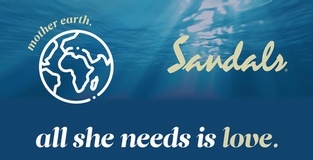 For more information on the Sandals Foundation, including how to donate to any of its programs and projects, please visit www.sandalsfoundation.org. To view the Foundation’s latest annual report, please visit https://sandalsfoundation.org/Sandals-Foundation-201-Annual-Report.pdf.